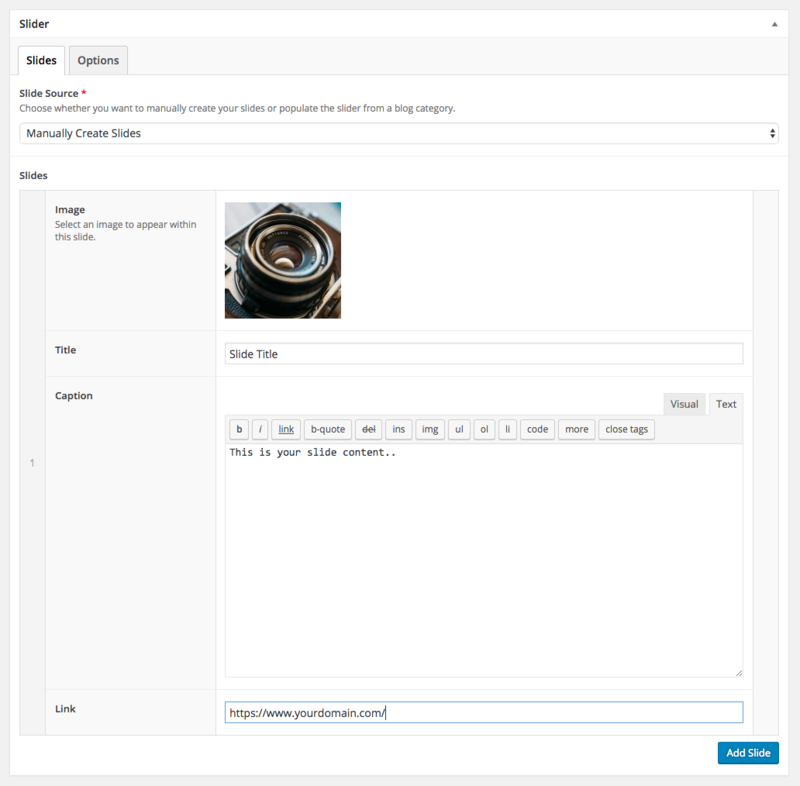 Stellar ships with a built in content/image slider for displaying your blog posts or custom image galleries. Sliders may be featured at the top of any page or post as well as embedded within content as a shortcode. The first option is to select whether you’d like to display your blog posts or manually create slides. If you select ‘Blog Posts’, the next step is to select a category to fetch from. You can also specify the number of recent posts to display. Note: Blog Posts must have a featured thumbnail set in order to display. If you choose to manually create your slides, you’ll first need to identify a few images that you’ll want to use. You can search and find amazing free images at unsplash.com. In the options tab, if you selected to display captions with your images, they will be displayed as entered. 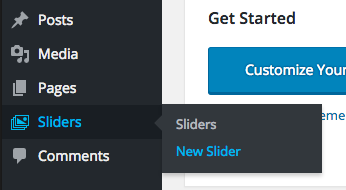 The second option is to select the slider from the ‘Featured Slider’ meta box on any page or post. This will display the slider in full width mode. 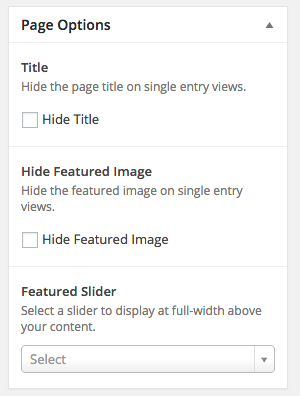 If you have a featured image or title that you’d like to replace with your slider content, you can hide those from the same interface as well.